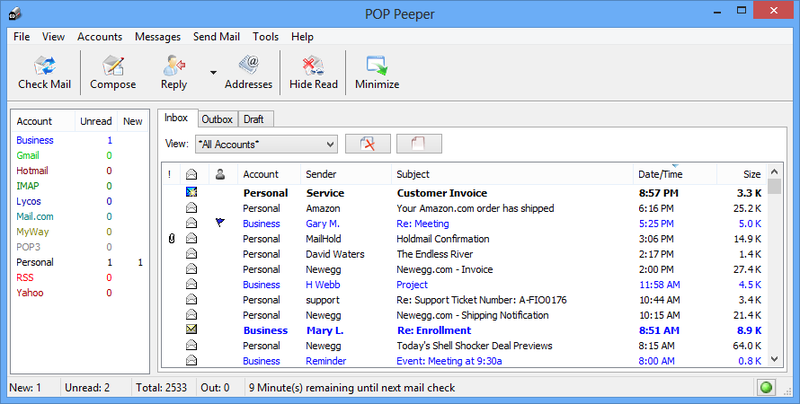 A freeware that was later open sourced, this is a tool to quickly manage IMAP mail accounts, folders and messages. Being abandonware, note it uses standard user/password combination for the mail accounts and not Oath. Gmail, for example, can only support that if you Allow Less Secure Apps. WinNMP (formerly WTServer and before that WT-NMP) is an open source free WNMP (a variation of WAMP). 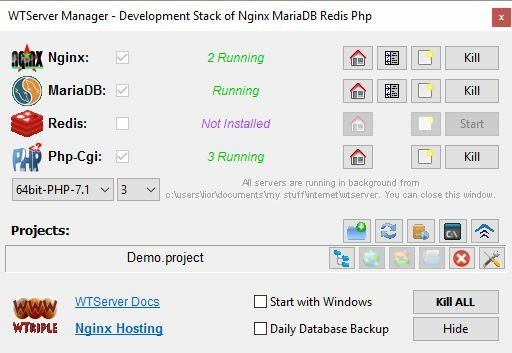 That is, a Nginx/MariaDB/PHP server stack for Windows. How to extract: The installer, which was created in Inno Setup, tries to install Microsoft Visual C++ Redistributable without asking and even if you already have it. However, it also executes some needed stuff (e.g. customizing the database). So download the installer and install it to the default folder. Copy all files to a folder of your choice. Uninstall the application. Launch WinNMP.exe. Run the installer within a sandbox like Sandboxie. Keep clicking Cancel when it tries installing MVC. Copy the resulting files to a folder of your choice. There are no official System Requirements, so I just wrote those tested by myself. 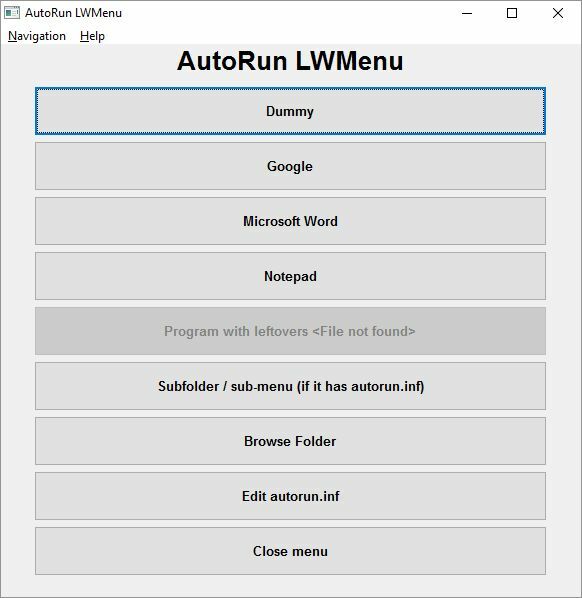 AutoRun LWMenu is a control menu that can launch applications, URLs, system commands, etc. It's not only portable itself, but can make the launched apps portable too. How to extract: Download the ZIP package and extract to a folder of your choice. Launch either the 64-bit (if your system supports it) or 32-bit EXE. 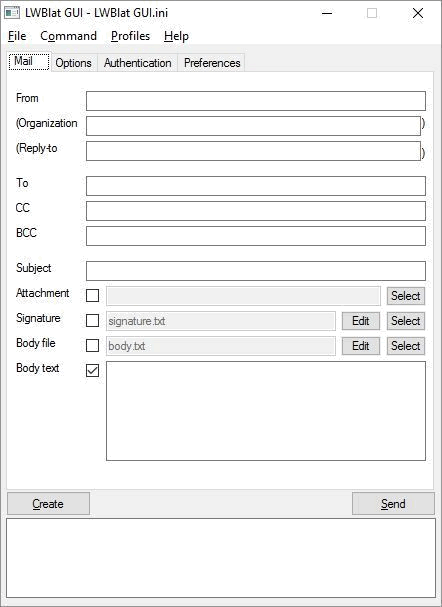 LWBlat is a utility email sender using SMTP or NNTP for posting to newsgroups with a friendly interface. The program is a front-end for the Blat console utility. Alternatively, LWBlat GUI Portable is in PortableApps.com Format and automatically adjusts paths and Blat's own registry settings (if used). Support by default for Blat being used in a subfolder.